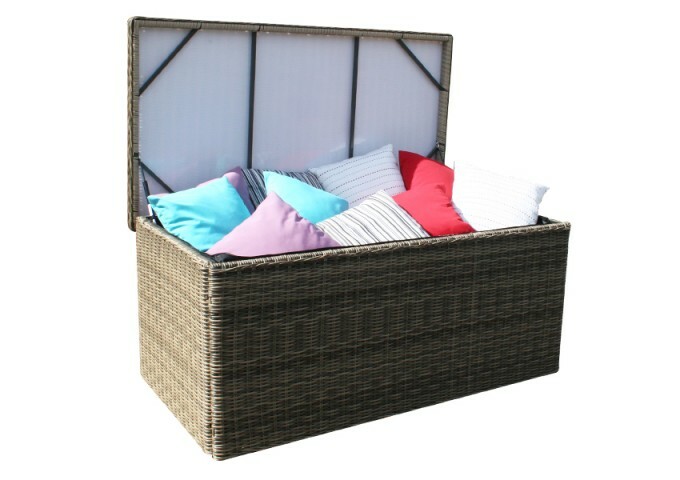 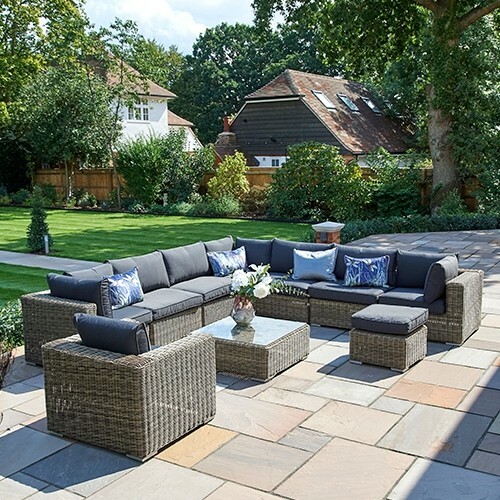 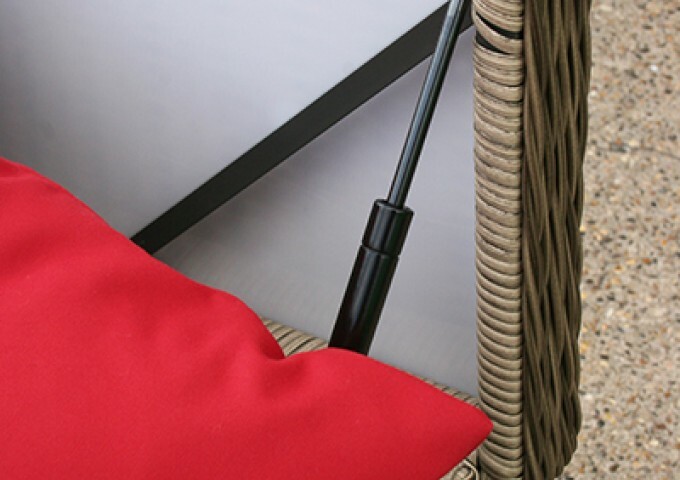 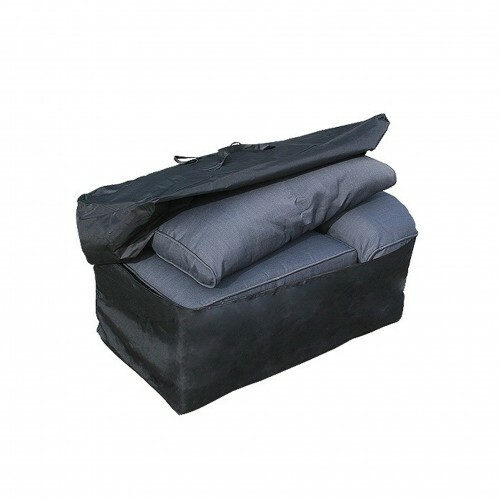 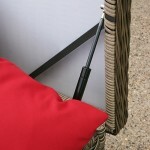 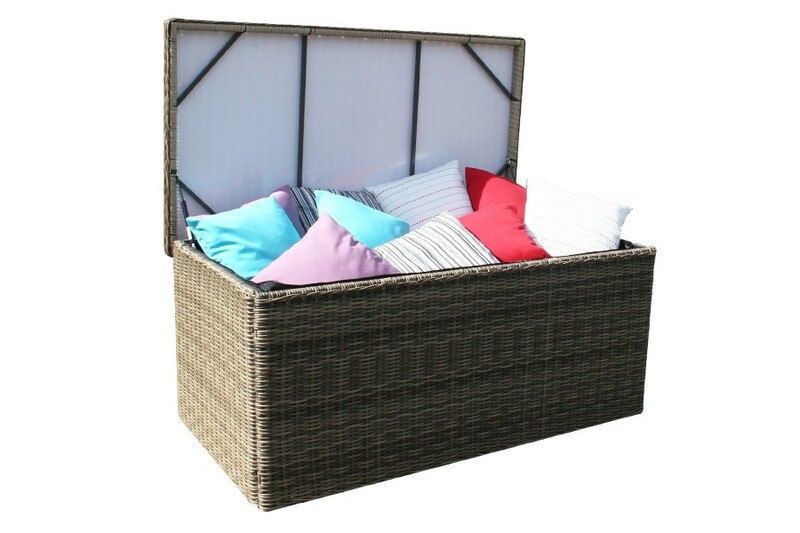 Keep your garden cushions looking their best with the help of this Mayfair Outdoor Storage Box. 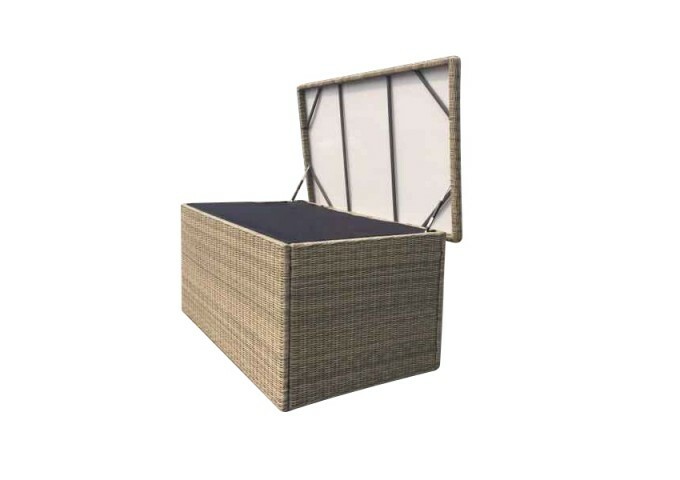 This high quality storage box beautifully co-ordinates with other items in the all weather Mayfair collection so you can achieve continuity of style across your outdoor living space. 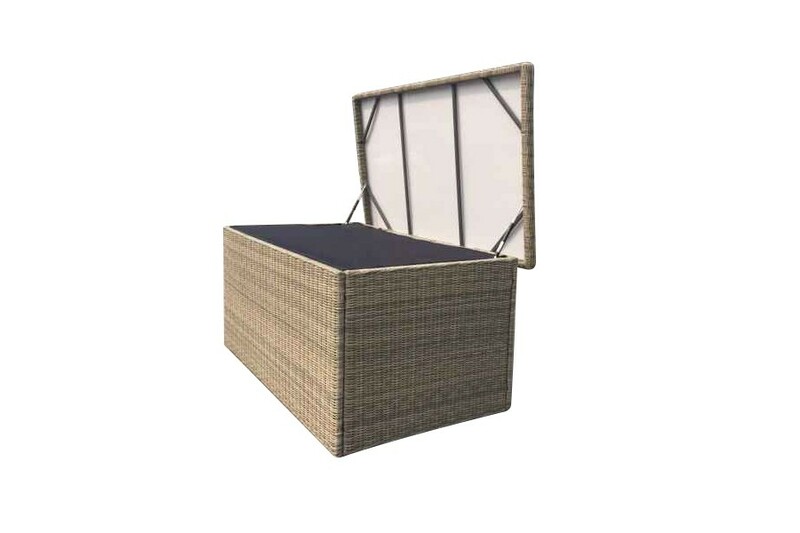 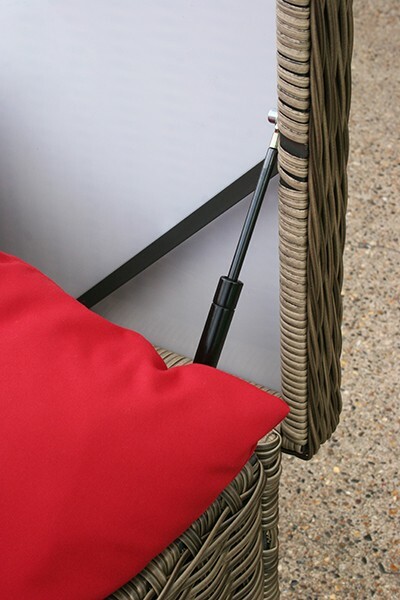 The frame is robust aluminium and the finish is naturally inspired, synthetic material with the stunning appearance of wicker and the benefit of being resistant. 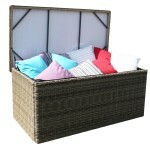 Your cushions will be well cared for within this box as it is fitted with a waterproof liner to keep the contents dry. 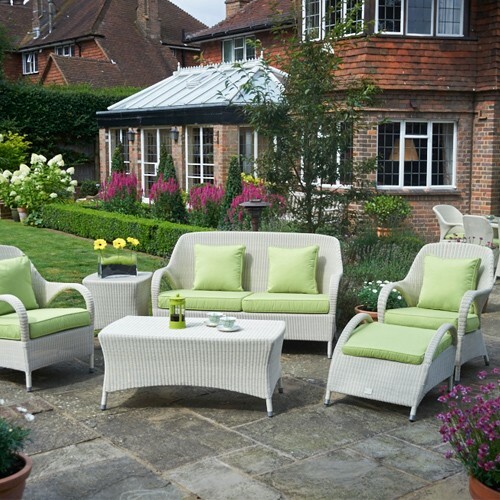 The lid lifts up to reveal a spacious capacity, ideal for a number of dining and lounging cushions. 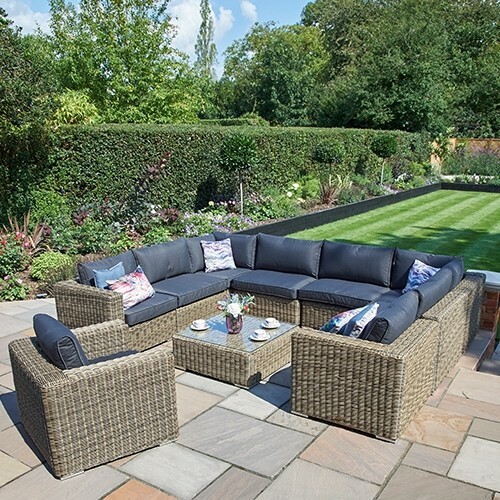 "Your delivery staff were excellent. 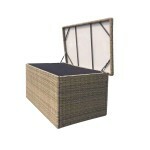 I have many deliveries and your stood out by a mile they were polite and professional.